Tamale Airport was founded as a main advanced operational base for troops during World War II. The landing strip was acquired at Nyohene, some two miles west of Tamale in December, 1940. The Government of the first republic of Ghana approved a plan to build a new international airport to serve the military eleven miles north of Tamale on realizing its strategic position/importance. Although the project got off to a bright start, it was abandoned with the overthrow of the regime in 1966. However, work on the airport resumed with some modifications to accommodate civil operations. Initially, the airport was manned by the Airforce, however with time assistance was sought from GCAA to provide personnel for telecommunications and to take charge of the RFFS and also Air Traffic Services. Tamale Airport is used for both civil and military operations and for special international flights. 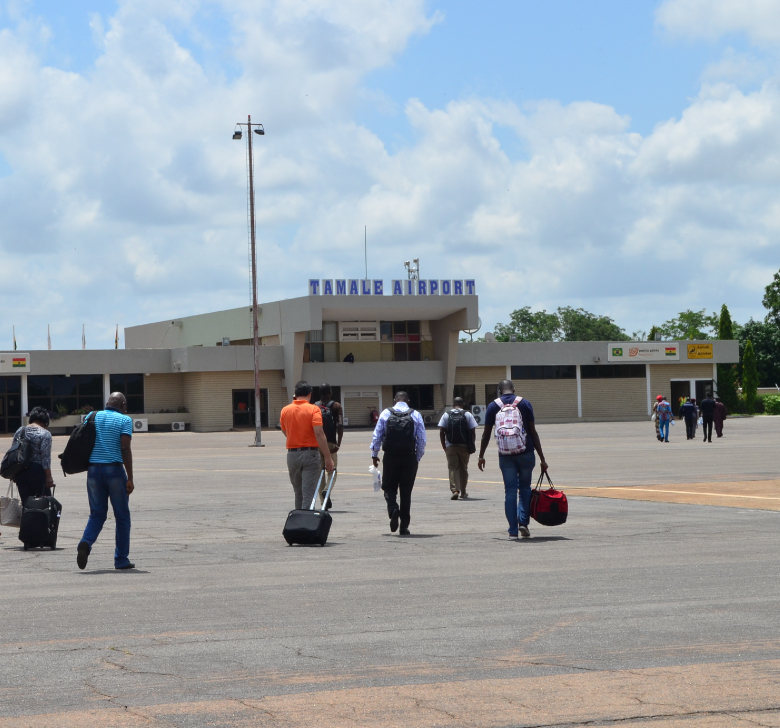 In September 2014, work commenced on the upgrade and expansion of Tamale Airport to International status. The development was in two phases. 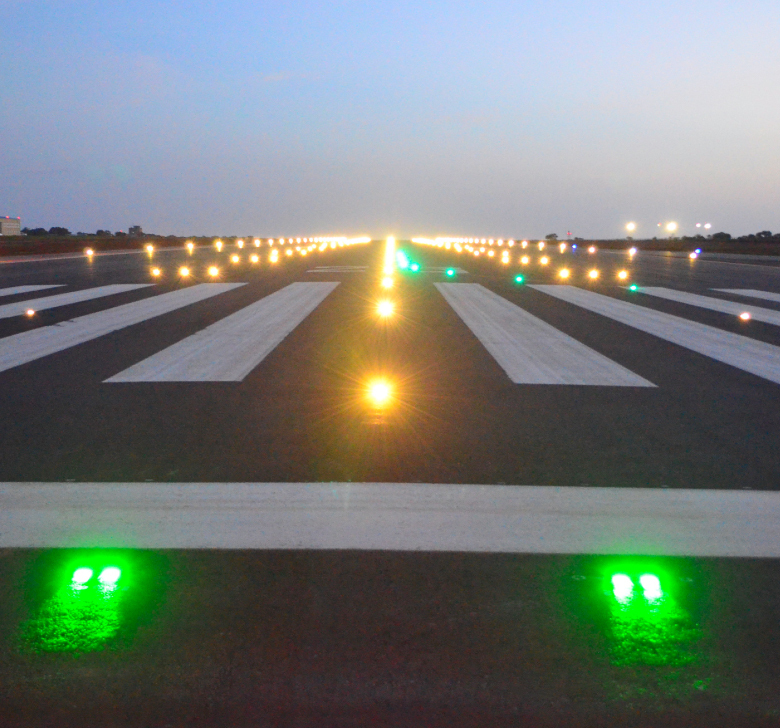 The first phase involved the upgrade and extension of the runway from 2438m to 3940m, construction of a new Apron and taxilink, rehabilitation of existing apron and the installation of Aeronautical Ground Lighting Systems. The project was commissioned August 2016 to coincide with the first flight for the 2016 Hajj Pilgrimage to Mecca. A Boeing 747-400 series aircraft touched down at Tamale International Airport. Tamale Airport now serves as an alternate to Kotoka International Airport and has capability to handle wide body aircraft in the event of an emergency at KIA.